My goal for 2016 is to be come more organised and to “de-clutter” my home and life of things that don’t bring any joy. My husband has been gradually repainting our home over the past few months and the last room to be painted was the guest room/sewing room. It took a lot of time and energy to go through all my sewing supplies/fabrics/books and get everything organised. We moved the guest bed into the adjacent ensuite bathroom (as it is only used for 1-2 weeks per year) to give me more space. I purchased a new cutting table and desk, and used my existing shelving and small cupboard. My husband framed a pegboard to hang about my desk. I have gone with a neutral colour scheme at this stage but can always change the display on the pegboard and shelving to suit. The pegboard was purchased from Bunnings. A frame was made so that it could be set back from the wall and it was spray painted white. I have displayed some of my favourite things – vintage pattern, kokeshi doll, keys,scissors, washi tape, doileys, Eiffel towers, and more! I am sure I will be constantly arranging and rearranging it. It will really be more of an inspiration board rather than craft storage. For a cutting table I have used a Stenstorp Kitchen Island from Ikea. It is the perfect height for cutting, and there is room for a tabletop ironing board so that it functions as a pressing station as well. It has two shelves which are great for storing cutting tools, works in progress, favourite fabrics, rulers and more. The other side has room for a stool, so I can sit to work on projects if needed. When we need the room as a guest room, there is room to move the table under the window so there is room for the bed. At the moment I am working in a L shape with the desk and cutting station. The existing Expedit shelving unit holds magazines, yarn, books, and displays. On top there are some framed vintage patterns, and my antique sewing box. I have another smaller Expedit (4 x 2) that is in the walk in robe. That holds tubs of fabric. I prefer to store fabric in plastic tubs to keep it dust free. I love my new sewing room and having all my supplies organised. Looking forward to spending lots of time in my sewing room this year creating. Wow! This is the perfect craft room inspiration! Well done Lisa, you must be so happy with how it has turned out! Thanks kez – I love it and hope to spend more time sewing and less time trying to find things. What are the white bins you are using under your cutting table? Hi Anne – the white bins come in two sizes from Ikea – they are called Variera. They are a great size to store all types of supplies. Perfectly organized and pretty to boot! I’m sure you’ll do lots of sewing and crafting there. Great job. Thanks Mary – it is so much more relaxing to work in there now that everything has a place. I LOVE your new pin-up board! I would sit there all day and daydream of Paris! And the framed patterns is a lovely idea too, which I might need to copy! Thanks for sharing your wonderful ideas with us! Enjoy your ‘new’ room! Thanks so much Susan! I must admit i have been glancing up at my inspiration board when sewing 🙂 The patterns were my Grandmothers so it is lovely to preserve them. I love how fresh it all looks! 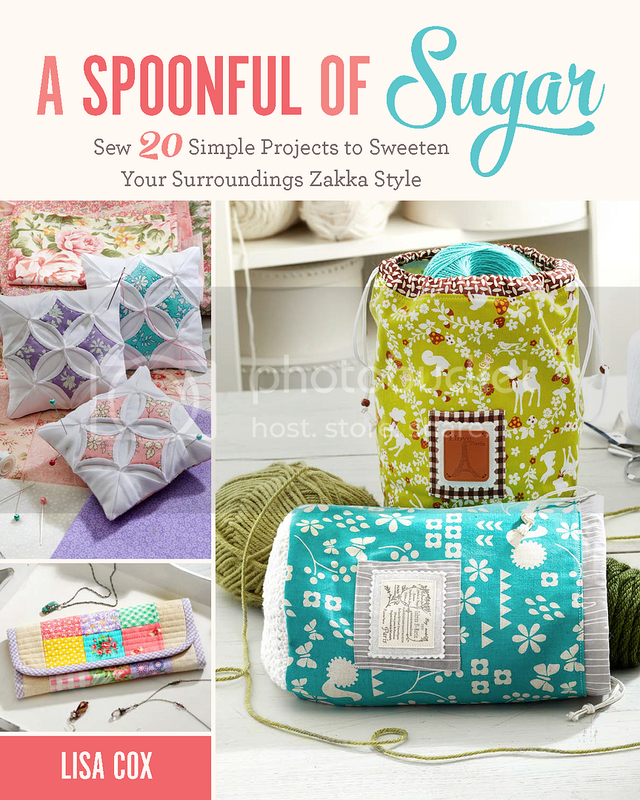 Lots of inspiration to be had from your sewing space. ? ? Thanks so much Faith – it is so much nicer to work in a room without the clutter. I have just discovered your beautiful blog through the Pinterest link to this post. Your work is gorgeous and inspiring and your beautiful sewing space has me rethinking my own (I am lucky enough to have some of the pieces you have in your room too so that makes it even more fun to get inspired!). Thank you for sharing all that you do. Thanks Kellie for taking the time to leave a sweet comment. I love my updated sewing room and have been spending more time in their now it is all organised. Thank you for sharing……..just what I needed. I am happy with my Hemnes desk – the filing drawer is perfect for my threads, and the side cabinet is also great for storage. The worskspace is perfect for me as I usually only make smaller items. If I was quilting a large quilt, I would probably work from my dining table, but this is great for baby/lap size quilts. I find the height functional and comfortable- although a “set in” table would be great. Have fun putting your room together! I love having a designated space. I use a student size desk from Target with a pull out ‘shelf’ (designed for a keyboard) that I have affixed (double sided tape) two silverware organizers for scissors and stuff. there is a drawer next to it for larger things and a cubby (for a computer tower) where I store books and rulers. It works fine for me and I am 5’7″ – perhaps an adjustable chair would help you. I also ‘built’ a cutting table set up by removing the iron legs from my cutting table and setting the top on three of those wooden cubby units – 9 cubes in each, also from Target – in a capital I shape to store my fabric. When I received my own cancer diagnosis over 3 years ago I foolishly got rid of TONS of stuff so my children would not have to deal with it, and now that I am fine I am having fun replacing it, but wish I still had some of it…. Good health to you. Thanks for the inspiration to try new things! I love your little black handled scissors. What kind are they? Do you use them for snipping or for detailed work? They look easy to use with their wide handles.